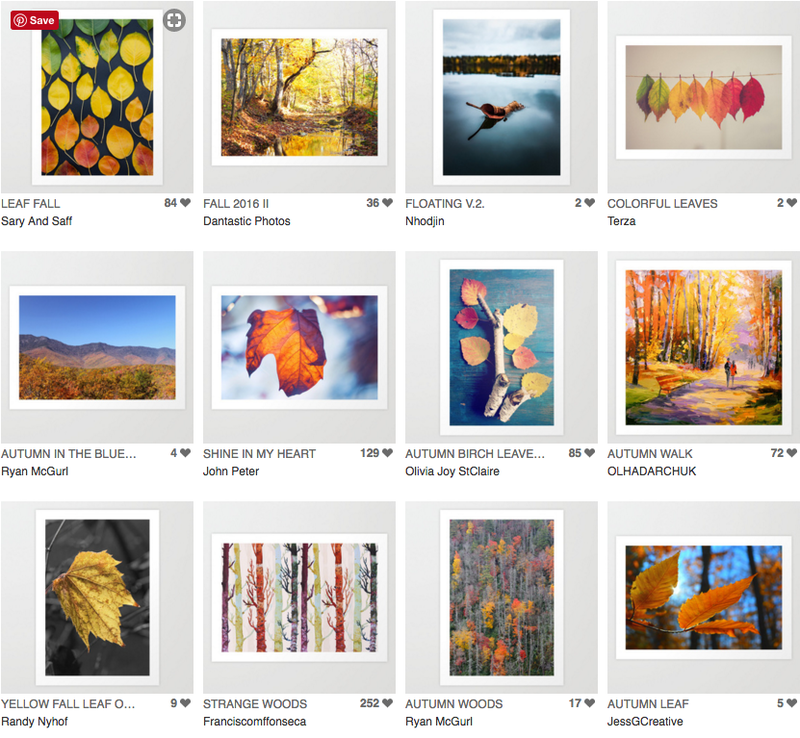 Check out these artworks and more in my Autumn Collection on Society6! This entry was posted in Autumn/Fall, Curated Collections on September 29, 2017 by RyanMcGurl. 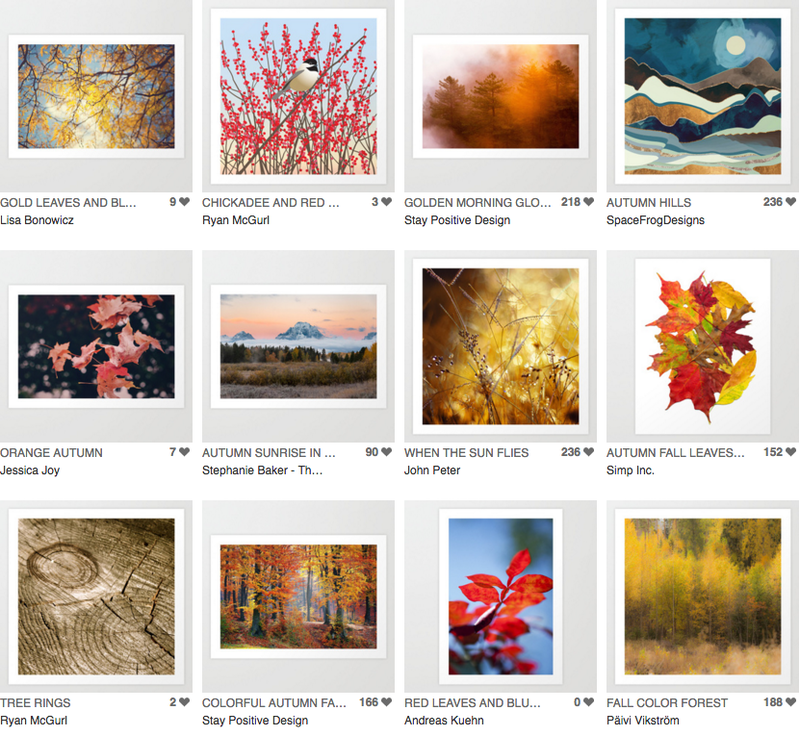 You may have noticed that all my curated art posts recently have been autumn themed. Its actually all the same collection, on Society6, that I’ve been adding to every week. 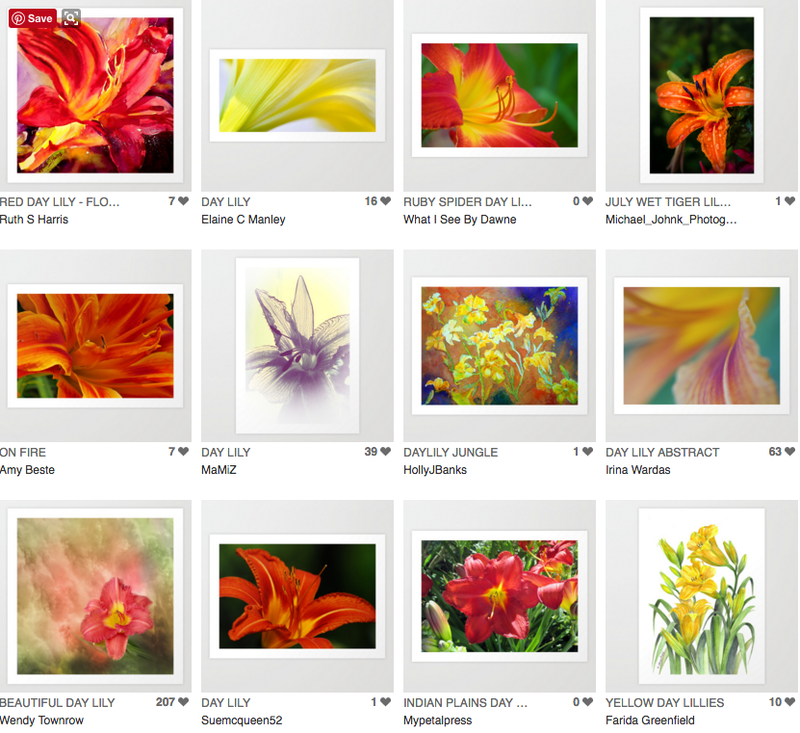 I wish I could buy them all, but I just don’t have enough wall space. 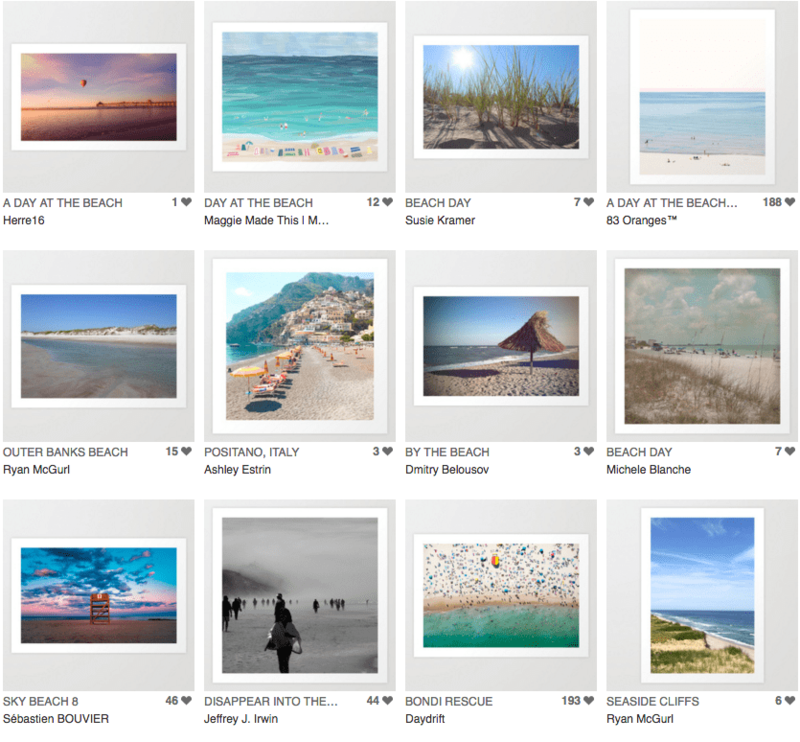 Here are this week’s picks, and check out the whole collection here. This entry was posted in Autumn/Fall, Curated Collections on September 22, 2017 by RyanMcGurl. I’m in full fall mode, loving all the beautiful colors of autumn: oranges, reds, yellows, golds, and browns. I’m also impatiently awaiting my annual fall foliage pilgrimage. 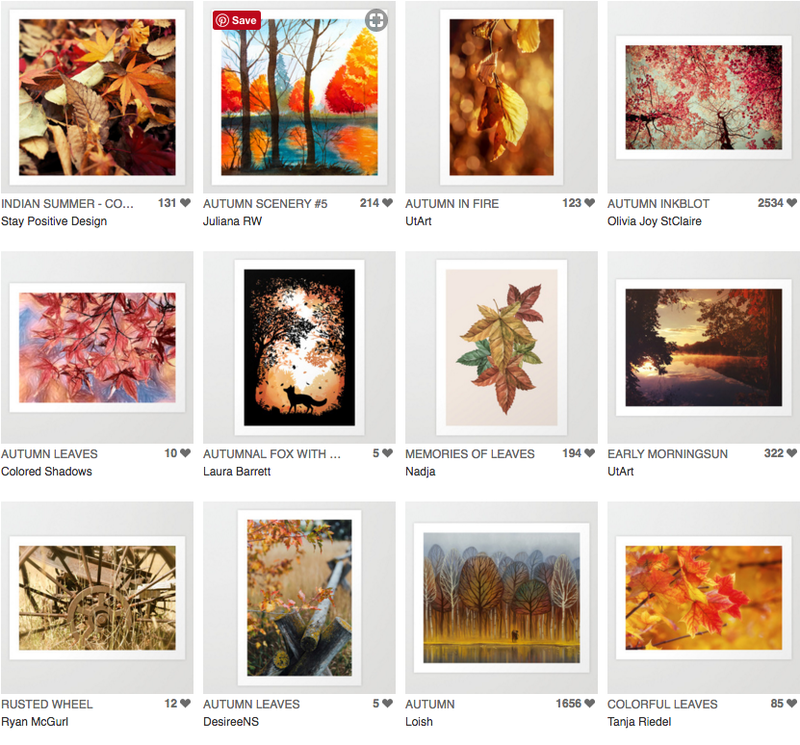 Until then, here are some more beautiful artworks to my Autumn Collection that I created on Society6. This entry was posted in Autumn/Fall, Curated Collections on September 16, 2017 by RyanMcGurl. I’m still loving everything fall, and most likely will be right up through Thanksgiving. 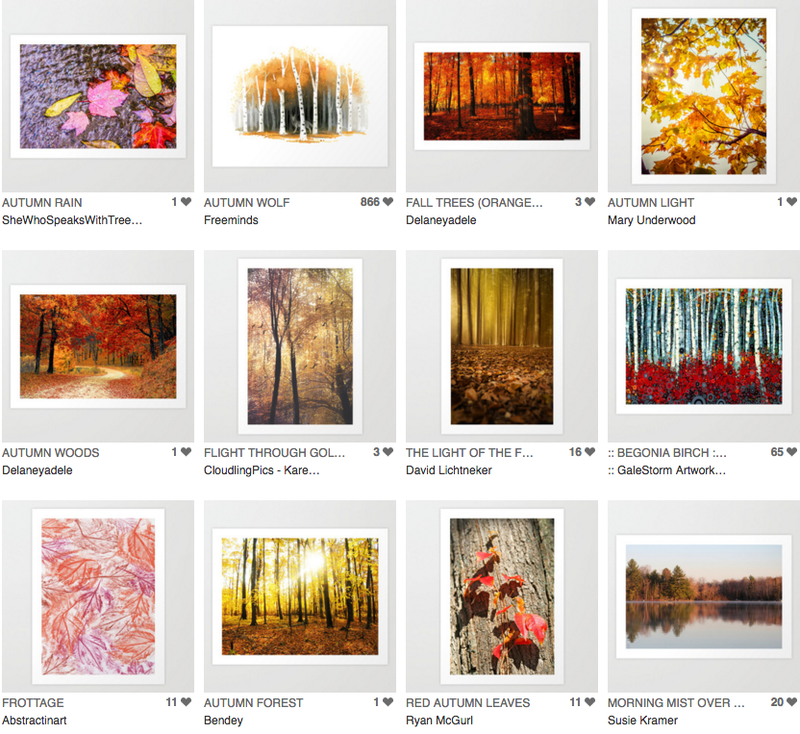 So for this week’s curated collection I chose some beautiful, autumn artworks, all found on Society 6. This entry was posted in Autumn/Fall, Curated Collections on September 10, 2017 by RyanMcGurl. I’m ready for cozy fall fashion (even though it is still too warm for sweaters here), gardening with mums and pretty pumpkins, fall scented candles, warm drinks, and hiking in the woods. This entry was posted in Autumn/Fall, Curated Collections on September 1, 2017 by RyanMcGurl. Its beach season! A few weeks ago, I was desperately in need of a beach day, or maybe just a day off. Fortunately, I’ve gotten a handle on the things that were stressing me out and I’ve been able to relax. I’ve also gotten my beach days, with more to come as I still have most of the summer to enjoy them. This entry was posted in Beach, Curated Collections on June 30, 2017 by RyanMcGurl. 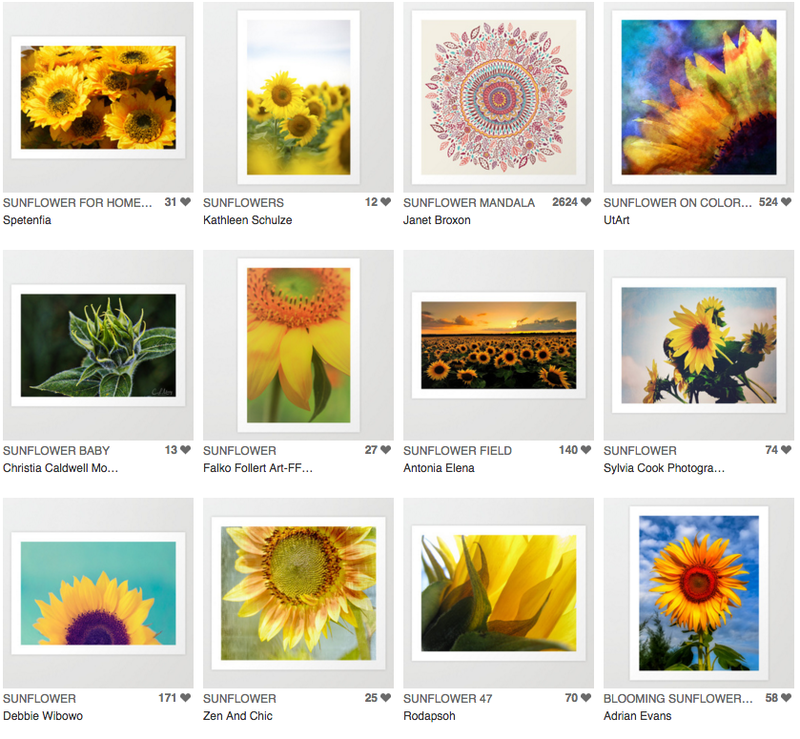 I’m working on a sunflower in my sketchbook right now, I’m not ready to share yet, but I did find these gorgeous sunflower artworks on Society6, check them out here. This entry was posted in Curated Collections on June 9, 2017 by RyanMcGurl. I would really, really love a day at the beach right now, but I am just so busy. I’m getting ready for my yoga teacher training next month, getting ready to be away from home and my business during my training, trying to get as much of the never ending yard work done before the summer heat makes it impossible. I guess I’m feeling overwhelmed right now. 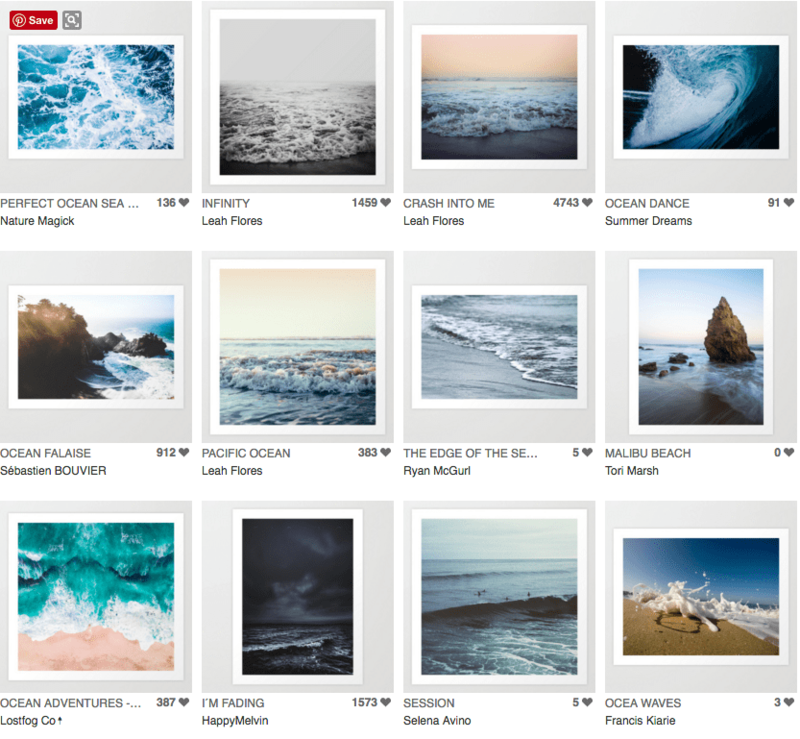 But here are some beautiful ocean pictures, in my Ocean Waves collection on Society6 that I can at least look at for a few minutes before getting back to my to do list. This entry was posted in Beach, Curated Collections on June 2, 2017 by RyanMcGurl. I’m very excited to see my day lilies blooming right now. Unfortunately their season is only 2-4 weeks, but they’re so beautiful while they last. This entry was posted in Curated Collections, Summer on May 27, 2017 by RyanMcGurl. Guess what kind of weather we’re having today? This entry was posted in Curated Collections on May 5, 2017 by RyanMcGurl.